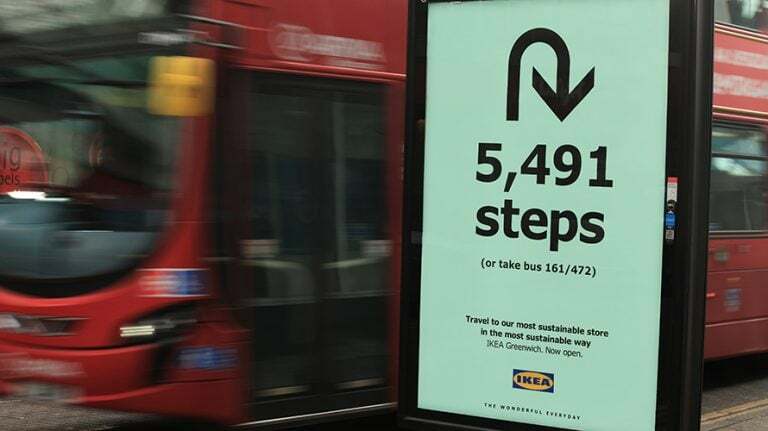 Swedish furniture company IKEA is promoting its ‘sustainable London store’ with a new ad campaign encouraging people to make their visit to the store on foot or via public transport. The store opened recently in Greenwich and features solar panels, grey-water recycling and rainwater treatment (reducing the store’s water usage by half). 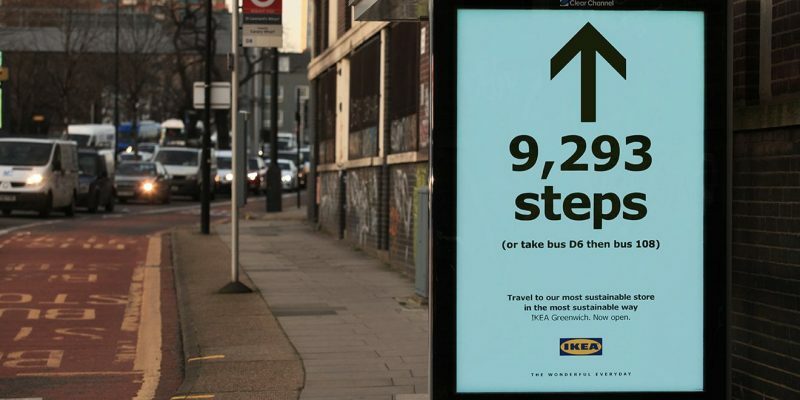 Each poster placement advertises the number of steps to the store and details the public transport route. Clever creative and smart copywriting, especially on the double bus side placement (image below). 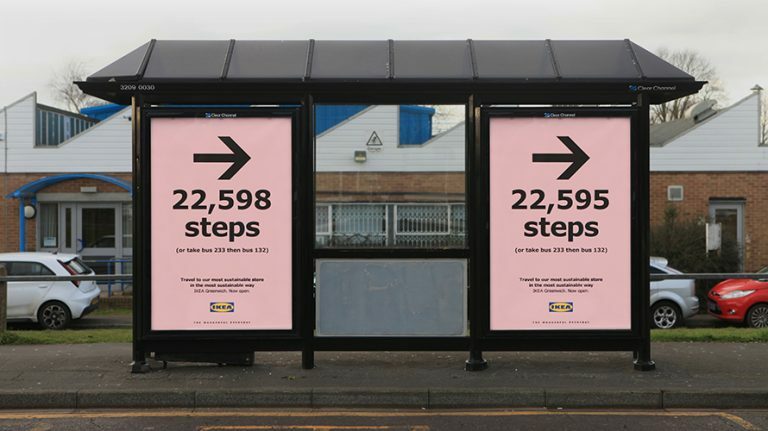 The new out of home ads will feature at 80 locations across London and will be up for six months.